Inline colour measurement is now possible with the colorCONTROL ACS7000 colour measurement system. The system is a high speed, true colour measurement system which identifies colours in the XYZ; L*a*b*; L* u* v*; RGB measurement definitions (user selectable). The ACS7000 system can continually monitor a production process and output the colour measurement via Ethernet/EtherCAT, RS 422 and can also be taught pass fail/limits and then output out of tolerance alarms using digital I/O. The system can also be used in offline and R&D/Lab environment. The colorCONTROL ACS7000 colour measurement system not only recognises reference colours by comparison, but identifies individual colours clearly from their coordinates in the colour space. With its very high measurement speeds, the colorCONTROL ACS7000 is suitable for applications where colours and shades have to be examined on-the-fly and to very high accuracies. The standard sensor ACS1 is used for common measuring tasks. The transmitter and the receiver inside the sensor are arranged at an angle of 30°/0° to each other, producing a working distance of 50 mm. An optionally available adapter permits applying the sensor even in tactile measurements. The circular sensor ACS2 is used for colour measurement of structured and highly reflective surfaces as well as lustrous metals. 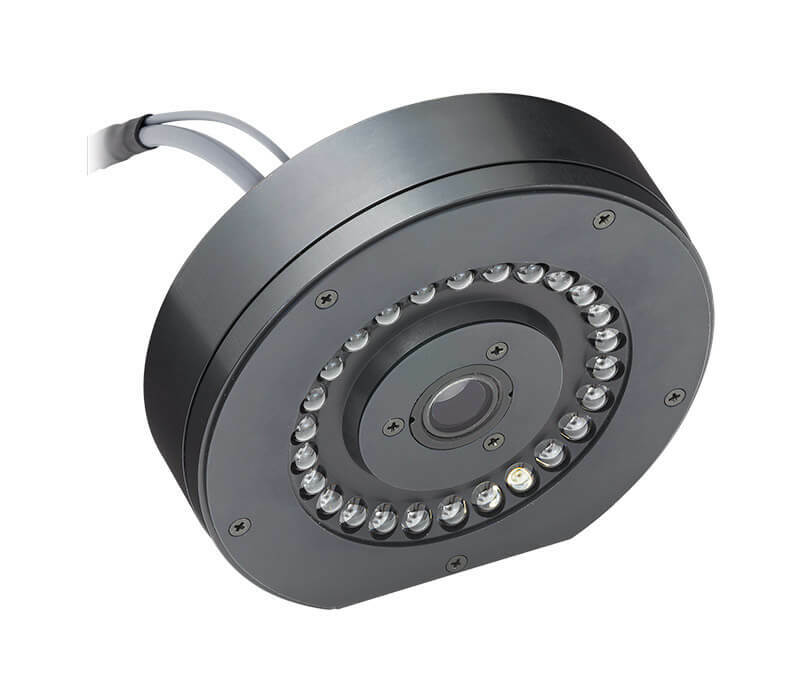 In the sensor, 24 lighting optics are circularly arranged around the receiving optics and provide a constant lighting permitting that the measurement can be executed independently from the angular position of the measurement object. There are two ACS2 versions with different measurement distance and spot size. 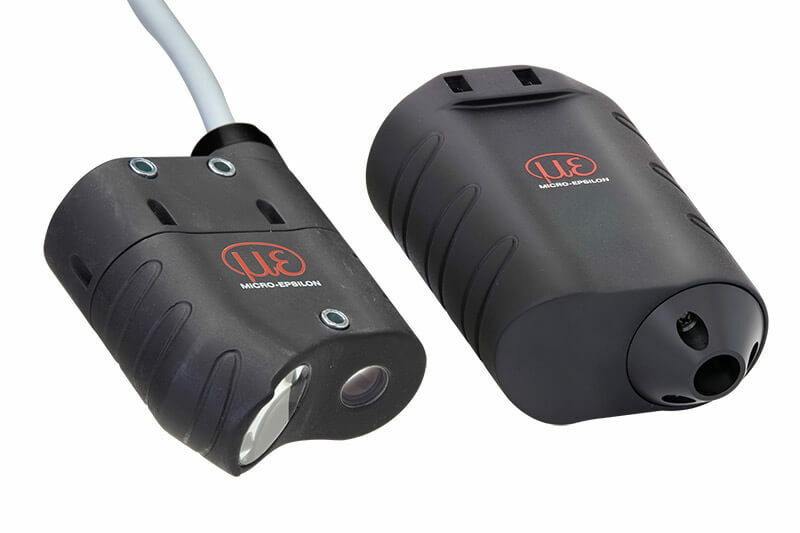 The transmission sensor ACS3 is applied for measurements of self-luminous objects and transparent objects as well. 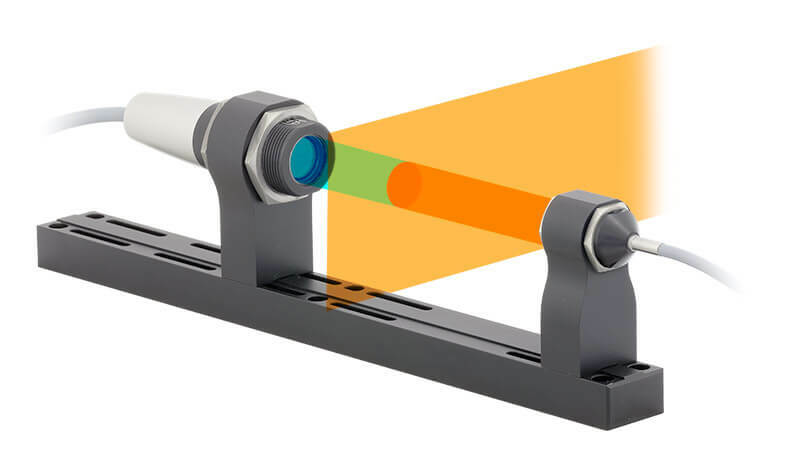 Measuring the colour of self-luminous objects requires only the receiver unit, whereas a transmitter and a receiver unit are necessary when detecting transparent objects. The transmitter and the receiver unit can easily be fixed by means of a mounting set.